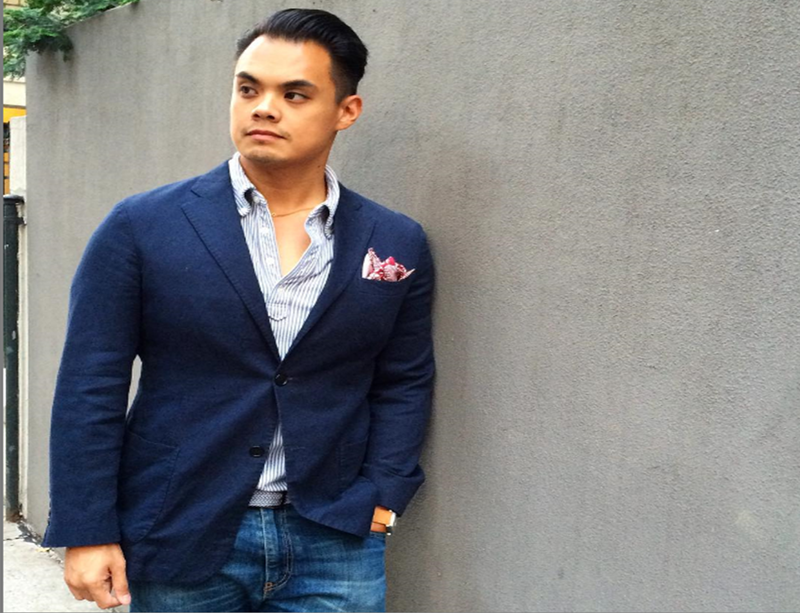 August 3, 2015 August 2, 2015 by Beau H.
Barron Cuadro of Effortless Gent talks style tips, the development of his site and more. He also nails this classic blazer-and-denim combo. Editor’s note: To check out other Style Q&A pieces, head here. As I’m abroad this week, stay tuned for a Wednesday trip post! Across the past few years, I’d say my personal style has developed a lot. More specifically, starting in about my sophomore year of college, I began to pay a lot more attention to what I wore, how I got dressed and how it helped me shape my life in terms of organization and focus. What was an outside interest at first turned into hours of reading about style and finding my own sense of style therein. One of the biggest sources in that development was (correction: is) Effortless Gent, an outstanding menswear and lifestyle site focused on helping guys improve their style (and everything that goes with it). What started as me merely perusing (poring over) the site’s pages in my free time led to a writing opportunity that continues to this day — my “Five Ways to Wear One” series — and a friendship with Barron that I’m definitely grateful for, as I think I can safely say that I might not have found my passion, and my career, without his guidance. But enough of the dramatic stuff — I caught up with Barron to talk all things Effortless Gent, the development of his personal style and his transition from San Francisco to NYC, and if you know Barron, I think you’ll like what you read. Take me through the process of starting Effortless Gent, and how that dovetailed off your own style journey? 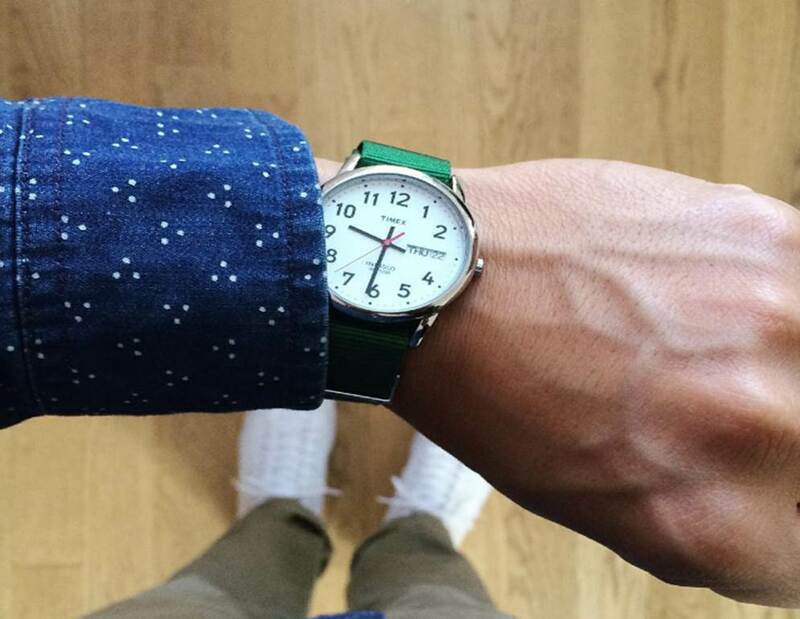 Effortless Gent: Throughout high school and college, my guy friends would ask me style-related questions. After 8ish years of hearing the same questions over and over, I realized there are probably other guys out there with the same questions but no one to ask. My professional background is in web design / development, so I decided to put together a site and answer these questions for a much larger potential audience than just my friends. 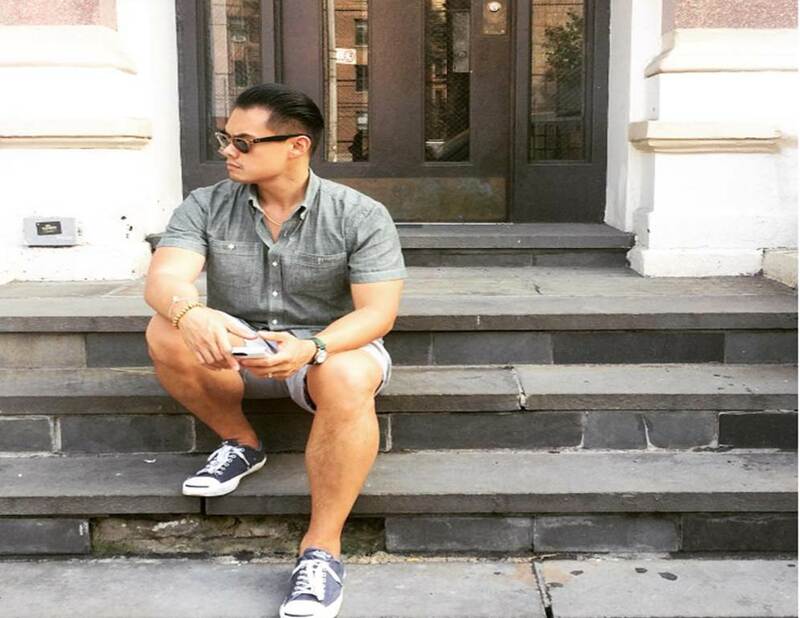 What’s been the most rewarding part of helping guys improve their style? EG: I love the emails I receive from guys who have quietly put into practice all the things we teach on the site. They realize how big a difference it has made in their lives and they’re just writing to thank me. That never gets old; it just proves that a little attention to detail and a bit of guidance can go a long way. Even with more low-key, casual ensembles, Barron keeps it crisp and classic. TSG: You advocate for a Lean Wardrobe and the idea of a personal uniform — tell me a little bit more about those concepts. EG: The Lean Wardrobe philosophy has become the cornerstone of the site, and it guides everything we teach. The idea of a personal uniform is similar and fits into that philosophy. We define the Lean Wardrobe (LW) as the minimum number of clothes a man needs to create the most well-rounded, flexible wardrobe that suits his daily life. Rather than a concrete list of items, LW is a philosophy or a set of principles that guide you when buying. The LW is also super flexible, because not every guy has the same situation, income, or surroundings. TSG: What’s one initial mistake you see most guys make when it comes to trying to improve their style? EG: I guess not having a proper plan, or a direction they want to go. That usually leads to premature buying and then eventually being unhappy with those purchases, requiring him to purchase something else. That cycle usually repeats until he finds something that’s truly him. And it can happen with every article of clothing, from shirts, to socks, and everything in between. That trial-and-error process can be time consuming and expensive, but if you follow the LW guidelines, you can generally avoid 95% of that headache. TSG: If you had to pick one outfit to wear every day, what would it be? EG: It would have to be a pair of medium-dark denim, white OCBD, unlined, unstructured sport coat in navy, and tan leather loafers. I wear something similar most of the time (unless it’s unbearably hot or cold, and when it is, I adjust by removing or adding layers). TSG: Playing off that question, what’s one essential item every guy should own? EG: I always say a navy sport coat. It instantly dresses up whatever you have on. The devil’s all in the details when it comes to a great outfit, according to Mr. Cuadro — and I agree! TSG: You’re new to NYC from San Fran — what’s that transition been like and how has it changed your style? EG: SF is much more casual with their style, which personally doesn’t suit me very well. In NYC, people dress up more. It’s not crazy to be in suits and ties, or creative smart casual rigs… It’s just the nature of the city and the people who are here. Since I enjoy dressing well, NYC has allowed me to be more myself, if that makes sense. In Build A Lean Wardrobe, one of the things we teach is to plan a wardrobe around your surroundings. Not just your physical surroundings, but the way in which people around you dress… Not that you have to dress exactly like everyone around you, but it’s a great way to gauge what’s considered “normal” and “appropriate”, and you can adjust course from there. Anyway, NYC hasn’t really changed my style much, other than the fact that it allows me to be more… me. TSG: Given that the site’s home base has changed, do you think content on the site will continue to evolve in that direction as well? What’s next for EG? EG: I think it will, and only for the better. I’m constantly inspired by the variation in styles I see here, plus the firsthand experience I’m getting by dressing for distinctly different seasons. In SF, we had one season almost all year round, so you don’t always get the opportunity to experiment. As far as what’s next, we’ll be focusing more on our eGuides and courses, especially our upcoming launch for Build A Lean Wardrobe, and hopefully continue to put out articles that help guide and inspire our readers to amp up their style game, no matter where they are. Head to the Effortless Gent Instagram here for a daily glimpse into the happenings behind EG (and some great outfit shots from Barron), and check out the site here for tons of excellent style content.